Bruce Charlton's Notions: Is the goatee beard intrinsically bogus? Is the goatee beard intrinsically bogus? 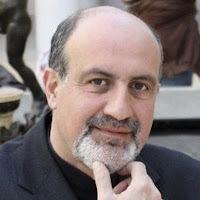 While there are - no doubt - many counter-examples (or what appear to be counter-examples) I have never been able to shake the conviction that a goatee beard is phony. This does not mean that the person with a goatee is a complete phony - but that insofar as he sports a goatee, to that extent at least he is a phony. Why would this be? I think because a goatee requires that a man shaves every day, just as if he were clean-shaven - yet leaves this little tuft, which must indeed be rather carefully shaped and trimmed. It seems like none of the benefits of allowing a beard to grow, and all the disadvantages of shaving with added ones. As to whether it looks good?... Well, let us just say that it may sometimes improve the appearance of some people. But there is always that danger that anyone who has a goatee for any significant length of time will develop the habit of stroking it. And that simply adds to the problem. The problem? In a word: smugness. A goatee looks smug - leading to the question: "What does he have to be so smug about?" Which prompts the thought that if he really had cause to be smug - then why is the goatee necessary? I remember starting to see goatees in the early to mid 1990’s. I first remember seeing them on men on TV who were trying to look intimidating and a bit sociopathic. E.g professional wrestler “heels”, biker-gang members, etc. The goatee was often accompanied by a shaved head. Goatees quickly became mainstream. It seems to me the initial point was to look like a tough guy. Then it just became mainstream. This is how I remember it in America. @BB - It was much the same here. But the fact is that a goatee is intrinsically not-tough. Imagine a real hard man fiddling away at the mirror, making smooth edges, trimming the length, sharpening the point, every day... no. It doesn't make sense. 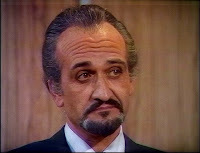 Roger Delgado was the best Master -- indeed, the best villain in DW history. He was a treasure. Tom Baker and Robert Delgado -- such a shame that they did not appear at the same time in the show's running. Perhaps, the screen could not have taken both of them. @Joseph - Agreed. My views on the goatee exactly mirror Delgado's portrayal of The Master, the mixture of surface arrogance and deep insecurity and resentment. According to what I have read, Delgado's death was what led to Jon Pertwee's retirement from the role of the Doctor - so in a sense the appearance of Tom Baker depended on him never appearing with Delgado. But Tom Baker is certainly my favourite of the Doctors - the definitive doctor - and I think this is the fan consensus. Couldn't this argument be extended to mustaches? Indeed Bruce, what is your opinion on the mustache? I don't feel the same way about mustaches. Moustaches are less work than goatees for sure; not that I've had either kind of hirsutism. The Roger Delgado thing is spot on. For whatever reason, people touting goatees do tend to be jackasses. Mustaches in general don't seem to be so, but I wonder about highly-stylizes mustaches (or a certain Dictator's goatee'd version of the mustache)? I was thinking mustaches refuted your proposition, but then the effort to maintain is a little less than a goatee - and maybe that is a significant difference. Reader's question: What is the power of prayer? Reader's question: How to deal with addictions? What does God want from Men?